Hello, I wanted to share a story with you today about my fitness/health journey. "Warning" long story. I will try to make it as short as possible. I started off being physically active at a very young age. Growing up, I received my black belt in Karate. I was so dedicated to fitness that I would run in place in my small room, along with other random exercises I would come up with at the time. I had no idea what I was doing, but HEY I tried. When that became too repetitive I started to run circles in the backyard (still repetitive). When I got a little older, I upgraded to running in parks and beaches (ahhh much better). Then played basketball in high school. In college I took classes such as women's conditioning, kickboxing, weight training, weight training, weight training... well you get the idea. I took so many P.E. classes that I hit my limit and wasn't able to take anymore. It was fun, while it lasted! After college I started to exercise on my own again, but for some reason it was getting harder and harder for me. I would go through times where I would exercise a lot, then stop, then exercise, then stop. I think anxiety/stress got the best of me. I got to a point in my life where I stopped exercising for years and gained weight. I was on a strict fast food diet... breakfast, lunch, and dinner with no exceptions! (not really it just happened to turn out that way) I ended up gaining 40 pounds! It might not be that much, but it definitely effected my mood and health. I became really depressed. Then one day it hit me... I thought to myself, "I am going to make a change!" I wanted to do it for no one other then myself. I went to my boyfriend (at the time) and said, "I'm going to try to get in shape, can you support me by not encouraging really yummy unhealthy foods?" He said, "ok" and I said "ok lets do this!" I started off by cutting down my daily calorie/fat/sugar intake, such as fast food, candy, soda, juice, chips, cookies... (you know all that good stuff) and started to exercise daily. I would allow one day where I would eat whatever I wanted, then go back to being strict for the rest of the week. It really worked! I ended up losing 40 lbs. and got back down to my original weight. It was NOT easy and took a lot of self-motivation, but I did it and I felt A LOT better. Exercising gives me self-confidence, energy, and happiness. Years went by and I continued to keep my weight at a healthy level. I was able to achieve this, even without regular exercise, by being extra careful with the foods I was consuming on a daily basis. Several years later, I got back into my exercise routine. Then, suddenly, I was struck with full blown fibromyalgia. I was in the most pain I have ever been in my life! It was crippling and I felt like I was dying! (for full story check out the my journey tab above) I was depressed and in soooooo much pain, from the time I woke up to the time I fell asleep. This scared me, so I completely changed my lifestyle in hoping that I would instantly get better. I started off by eating unprocessed foods (for the most part), cutting out gluten, drinking a lot of water, and incorporated green smoothies on daily basis. I went through chronic pain for about 6 months because I was too stubborn to consistently stay on any of the medications I was being prescribed. It got to the point where I told myself, "I can't live like this anymore, I NEED TO TAKE THE MEDICATION!" I gave in and took medication for about 5-6 months along with physical therapy. The medication helped me by covering up most of my pain, which allowed me to exercise again. That was all fine, but I felt as if I wasn't getting anywhere. The Dr. was prescribing me medication over and over. It became a routine and I was unhappy with the progress. I decided to take control! I started off by slowly stopping the medication, while continuing to stretch and exercise. At this point, it was challenging because I was able to feel some of the pain again in my muscles, joints, and nerves. I felt 30 years older, than I actually was. Yet, I was determined and pushed through it. I starting really slow and wasn't going to give up! My next step was to began reading articles on fibromyalgia and holistic healing. In researching, I found that fibromyalgia symptoms can improve by treating it from the source. I started to catch on and found that I was experiencing lactic acid and nerve pain. I feel as if, I would have never discovered this if I would have continued taking the medication. On the other hand, the medication was the first step in the healing process. It helped by relaxing my muscles and lowering my inflammation, so for that I am thankful. I then, researched natural remedies. Out of nowhere, (online) I discovered natural calm plus calcium. I have been taking that for about a month now and have felt a big improvement. A couple of days ago, I was able to run on the treadmill for 30 minutes. I didn't expect to do that again, but I did and in return I felt so happy and energized! Now, I want to switch to using hemp seeds in my smoothies and see how that works out for me. Hemp seeds seem to be what I am looking for right now. It consists of magnesium, calcium, protein, iron (to fight my anemia) and some other good stuff that I cant remember at the moment. In conclusion, I am now pretty stable. I still have my moments where I am in pain, but I can tell that I am, in fact, getting better. I am able to consistently exercise five days a week. I stretch, walk on the treadmill, and follow workout videos on YouTube. I am slowly experiencing times where I feel "normal" without pain. It is such a great feeling to feel like an improved version of my old self. I feel much happier and healthier. This experience has inspired me to get into the holistic nutrition field. I want to help people that are going through the same thing or any other health related issues that they want to overcome. I will be starting that journey very soon. If your experiencing something similar, I encourage you to continue fighting. Things can get better. It takes a lot of time, patience and energy, but overtime you might find strategies that work best for you. 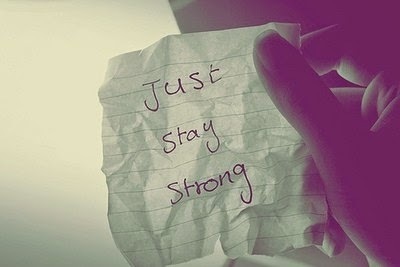 Try to start slow and build up your strength from there. If you need any help along the way you can message me and I would be more than happy to help. Note: I am not a professional. All of the information comes from my own personal experience.